Familiarity and comfort are important factors to consider when providing home care for a senior with dementia. This is especially crucial for the home environment, and there are some changes you can make to your elderly loved one’s home that soothe the symptoms of the condition. The Harrisburg dementia care experts at Home Care Assistance have a few home design tips that can make life at home safer and more comfortable for your loved one. Rooms painted and designed in similar colors can camouflage your loved one’s personal items, which may result in mood swings, panic attacks, and a variety of other psychological responses. Combine these issues with the macular degeneration many seniors experience and the results can be disastrous. Using contrasting colors on the walls, floors, and furniture can give your loved one the ability to quickly find items and navigate through his or her home. When arranging a home for a senior with dementia, bright lights are an absolute must. Not only can the lighting help your loved one identify hazards such as cords on the floor, but it can also affect his or her mood. When you set up the lighting, make sure to check each room during the day and also at night. What seemed like adequate lighting in the afternoon could end up being a dim and dangerous environment at night. Your loved one might find it easier to move throughout the home or even carry out minor chores if his or her sense of touch is stimulated. Small items such as rubber bumps along a wall or handrail can help your loved one determine where he or she is going. You might also want to consider upgrading to appliances with braille because the tactile feedback could help your loved one identify the item being used. Seniors with dementia should have access to their personal items as much as possible. Their belongings are often the only thing connecting them to their past, and they should be clearly displayed throughout the house. However, they should be left alone once in place. Rearranging or removing these items could potentially result in confusion and aggressive behavior. 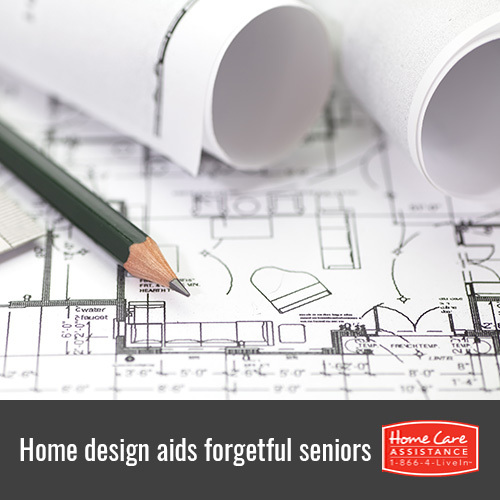 For additional tips on adjusting the home while keeping a senior with dementia in mind, reach out to Home Care Assistance. Our part-time and live-in caregivers are extensively trained in dementia care, and they can also help with daily tasks like cooking, bathing, and exercise. For more information on elderly care Harrisburg seniors and their families rely on, call one of our Care Managers at (717) 540-4663 to schedule a complimentary consultation. Can Exercise Reduce the Risk of Dementia?